Calling my stuffing the World’s Best Stuffing is not an exaggeration, it is seriously the stuff dreams are made of! How do I know this? Because even my vegetarian sister eats it (Shhhhh…….don’t tell anyone)! I’ve been making this stuffing since I was a teenager. The stuffing was something that my grandpa taught me to make. Every major holiday I’d head over to my grandma and grandpa’s house and we’d make this together in preparation of being stuffed into the turkey. The great thing about this stuffing is that it tastes great regardless of being stuffed in a turkey, or baked in a casserole, which is how I typically make it. 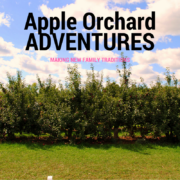 Also, thanks to our apple picking adventure last week, I had some great Cortlands to use in my recipe, which were just the right amount of juiciness and tartness this recipe needs. Since Thanksgiving (Canadian) is coming up this weekend, I thought this was the perfect time to share my recipe! Have a Happy Thanksgiving. I hope you spend it with great people and eat lots of good food! What do you have planned for the long weekend? Come say hi on social media and let me know what you think of my stuffing. 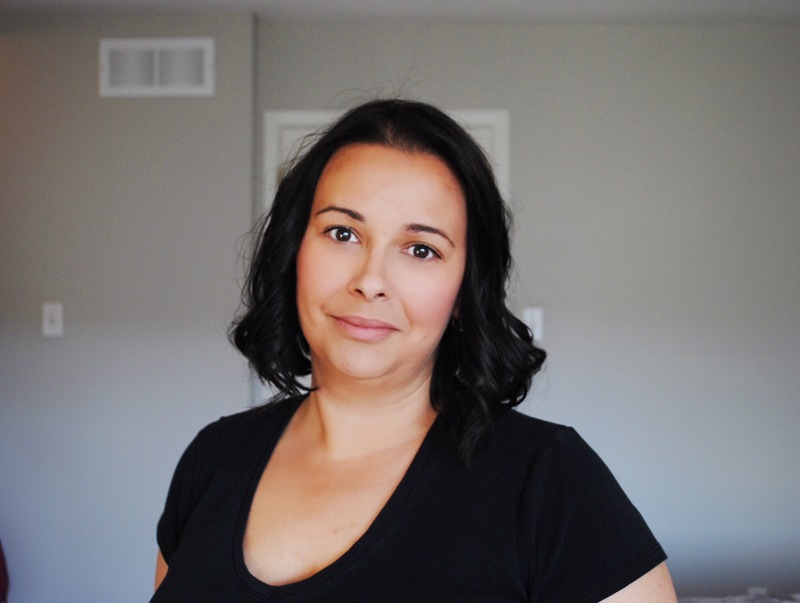 You can find me on Instagram, Twitter and Facebook. 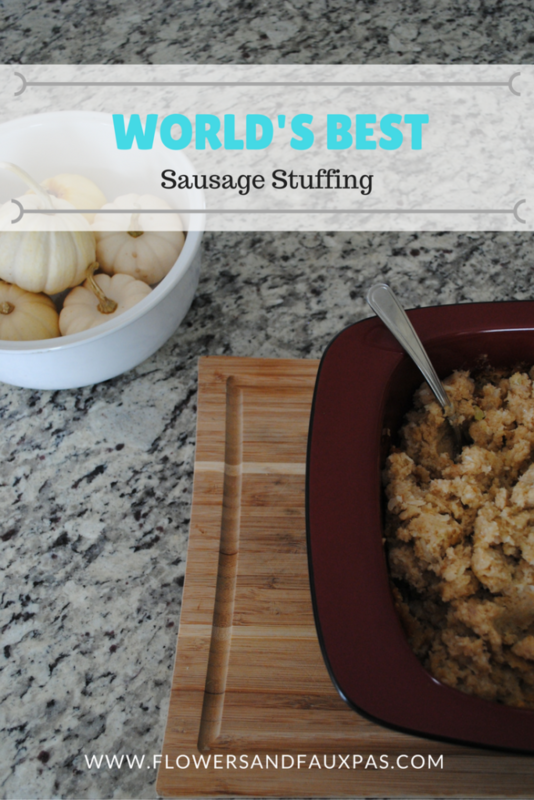 The only sausage stuffing you'll ever want to make again! Perfect for baking alone or stuffing inside a turkey. 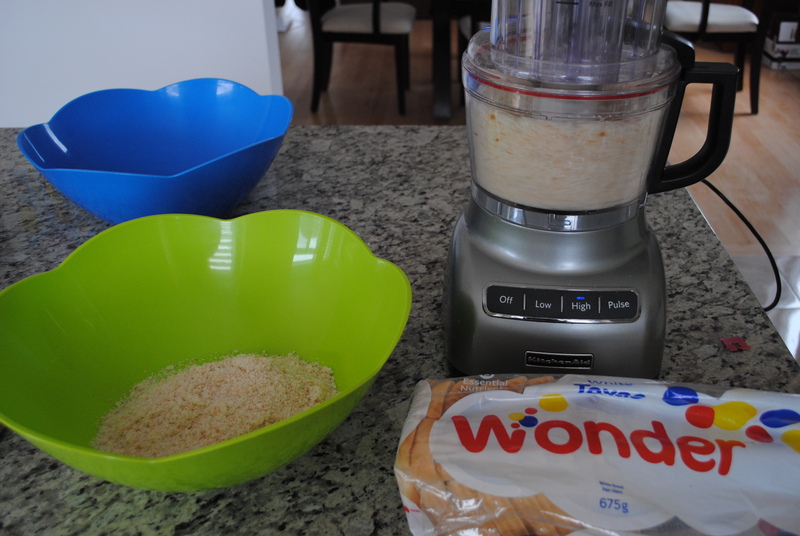 Using a food processor on high make bread crumbs out of a fresh loaf of texas toast. Hint: the chopper attachment to your immersion blender will do the job as well, you'll just have to work in smaller batches. 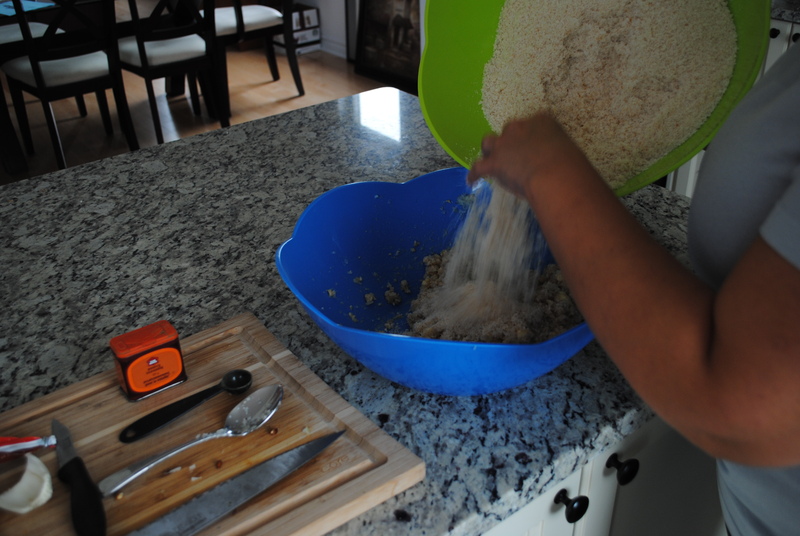 Transfer bread crumbs from the food processor to a large bowl and set aside. Coursely chop the onion and celery, add to food processor and chop on low until onion is a fine consistency but not too mushy. Transfer to a second bowl. Peel and core apples. 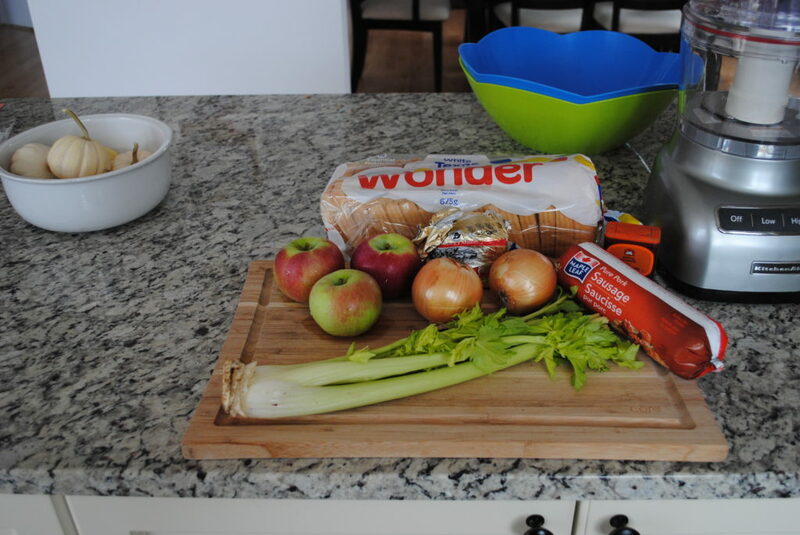 Coursely chop and add to the food processor. Chop on low until the same consistency of the vegetables. Transfer to the bowl with onions. 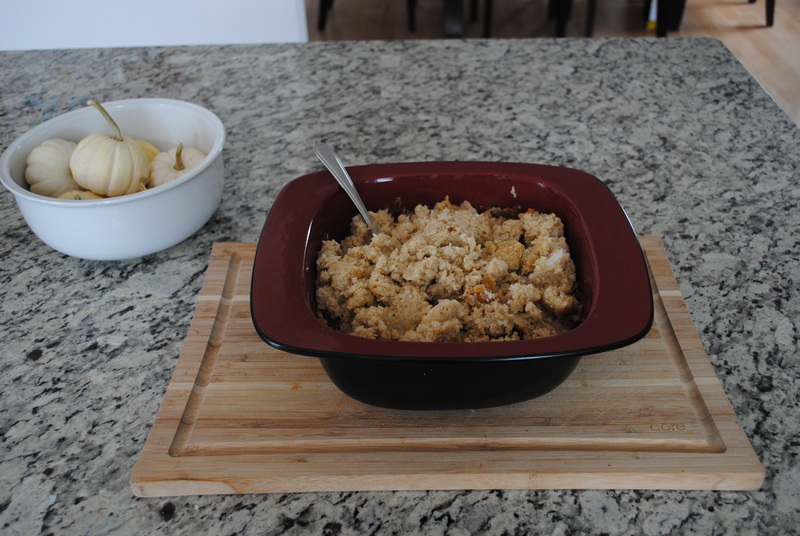 To the second bowl, add sausage meat, butter and poultry season. Mix all the ingredients together by hand. 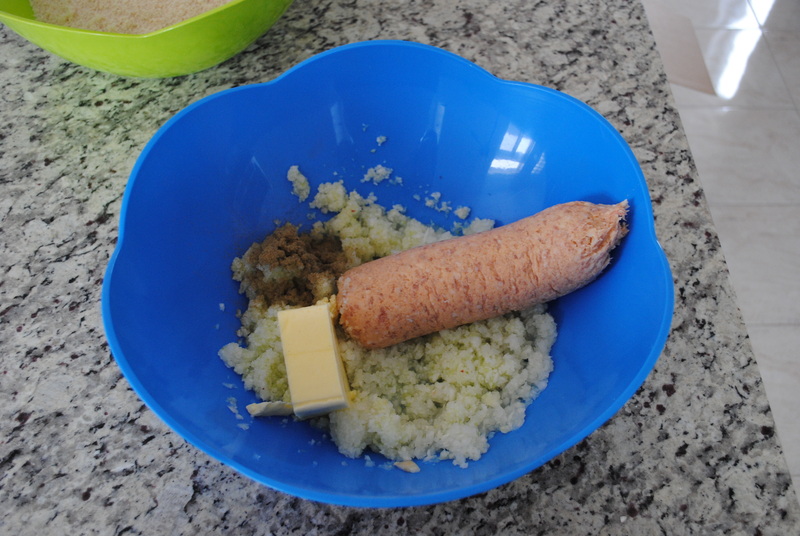 Add the bread crumbs in 3 parts, mixing all the ingredients together after each part is added. After mixing is complete, you can wrap up the stuffing in cling wrap and place in the fridge til it's ready for cooking, stuff the turkey immediately or place in a casserole dish. If cooking on it's own in a casserole, which is how I always make it, bake in the oven preheated to 350 degrees for 60 minutes. You should be able to pack the stuffing into a ball once all the ingredients are mixed together. If it's too moist and won't pack nicely, add more breadcrumbs. If placing the stuffing inside the turkey, don't forget to remove it immediately after the turkey is cooked and removed from the oven.